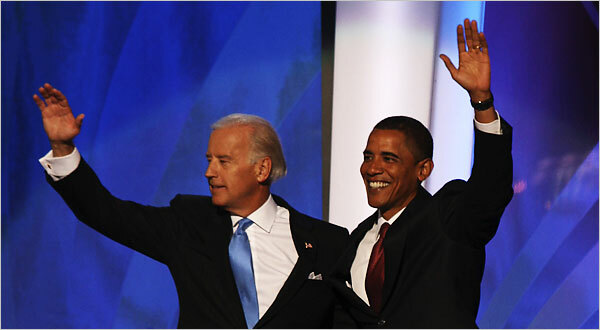 Barack Hussein Obama w/ Joe Biden as VP. I don’t think anything else needs to be said. This has been one of the most amazing moments in American history. Can we change America for the better? Yes we can! I don’t when we’ll find out about the last four seats that the Dems need to have a fillibuster proof majority, but right now they have a pretty firm hold on the Senate. Not much more to say about that. Talk about taking everything! Dems control all branches of power now. This could mean disaster, but I hope it means that change will come easier for us. I really hope so. Oh man, this is awesome! We’re going to have a highspeed rail! Overwhelming picked, unfortunately, and we will all face the consequences of this bill head on. Prices for produce will go up drastically. Many people will be forced to close their businesses, thus putting thousands and thousands of workers out of jobs, and we’ll likely start importing more of our meat. Good work animal rights people. You’re doing a fantastic job of destroying America. I don’t like the mistreatment of animals either, but you could have come up with a better way to deal with it than this. You know, like putting in protections for California families and businesses, or a good transitional period for them, or a billion other things. Jerks. Great, so we’re going to throw a billion dollars at people who haven’t even spent the $700 million we gave them four years ago. What kind of crap is this? Think about it. We’re giving a loan to someone that hasn’t used their last loan yet and going into debt because of it. Not by much either. I think a better bill will show up eventually. I’m not saying that teenage girls shouldn’t share information with their families, but I’m not willing to support a bill that forces them to ahead of time so they can intimidate these already terrified girls. Hope this is a good thing. Big no on this one. That’s probably a good thing. Overwhelming voted again. Something else will spring up for this eventually. You know it will. Looks like one point for bigots here. It was an incredibly close one though, with a difference of about 300,000 votes, which sounds like a lot, but really isn’t. It’ll get overturned eventually. Not much more to say here other than I’m sorely disappointed in Californians right now. I’ll post more about this one later. Good. Now more rights go to the victims. Good, we were smart on this one! Pretty close on this one, which shows that a lot of people were also iffy on it. I’m glad that Californians like veterans too. Well, that’s it. It was a relatively good election and most of the propositions that should have gone through or been shot down did. And with that, I’m off to school to go learn and be useful to society.